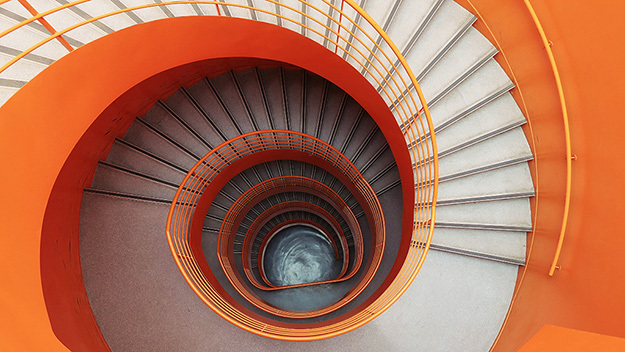 The Customer Journey is an Infinite Loop | ASTRALCOM - Content Strategy, Conversion Marketing and Customer Acquisition. Customers come, they buy, they leave – right? In a recent talk, Autodesk’s Director of Content Marketing dismantled the traditional idea of a “sales funnel” in favor of a much more nuanced relationship between businesses and customers. This new model encourages businesses to change their perspectives – instead of looking at the moment of transactions as the peak, look at a customer’s lifecycle and the many points of interaction they can have with your business. For Autodesk, this looks like a cyclical journey – everything from attracting sales prospects to informing prospects and offering up the best information possible, making the purchase simple and high value, and ensuring retention in an ongoing way. I think this is a really smart way to think about how content marketing plays into customers’ relationships with your business, your brand and the value you bring to their experience in an ongoing, sustained way. If you’re looking for innovative ways that your brand can build affinity with customers throughout their journey, ASTRALCOM can help. Let’s talk about how content marketing can bridge powerful touchpoints between you and your customers. Marketing to Healthcare Professionals – What’s the Key Ingredient Most Campaigns are Missing?